Adjustable: you can change the airflow by rotating the on-off button on the panel. Premium material: made of high quality ABS, environment friendly and non-toxic. Easy to use: the white panel can be freely detached, very convenient to clean and maintain. 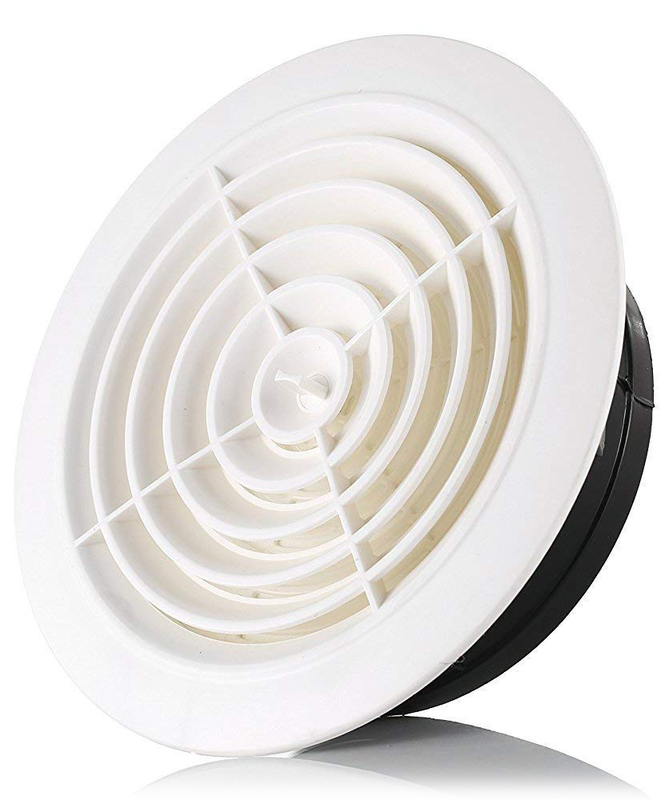 Stylish, compact and solid, this air vent can use as air inlet or outlet, ideal for bathroom, kitchen, office ventilation. Decoration of supply and exhaust vents of public, residential and industrial ventilation systems. Wall or ceiling mounting. Suitable for installation in furniture, bathroom and kitchen door leaves, etc. Made of quality and durable plastic. Fixed with mounting ribs or glue. Models with a protecting insect screen.